Negative cut training gloves that highlight goalkeeping history. 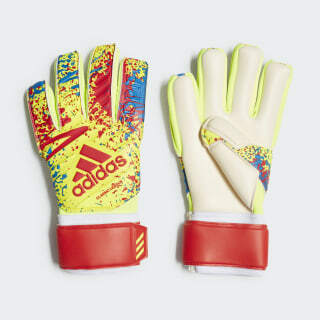 Ideal for training and kickabouts, these goalkeeper gloves are inspired by adidas football heritage. The durable palm has 3.5 mm of cushioning to take the sting out of shots, and grippy latex clings to the ball in all conditions. The fingers are cut for a snug, natural fit. 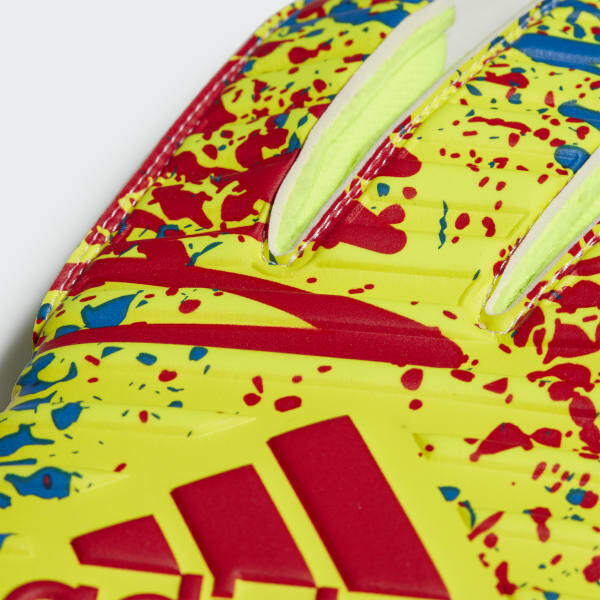 On the backhand, a vibrant design pays tribute to a pair of classic gloves that lit up Rotterdam in the mid-'90s.